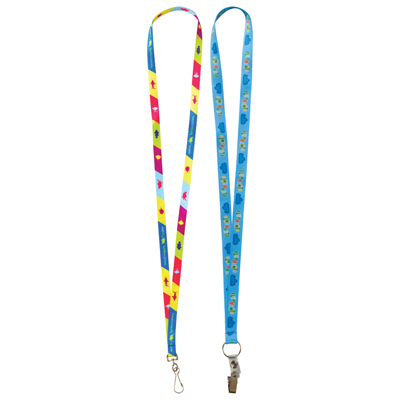 Glitter Lanyards have a polyester backing with glitter decoration applied to one side of the lanyard. Print is done over the glitter decoration as shown. Glitter decoration uses silver or gold glitter applied to yourchoice of coloured polyester. 457mm Long. 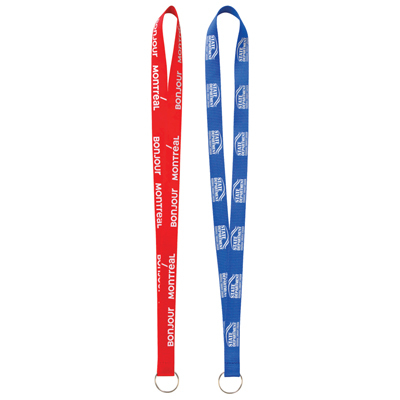 Sublimated lanyards are produced using ultra fine polyester and include an imprint ranging from 1 colour up to full colour process. 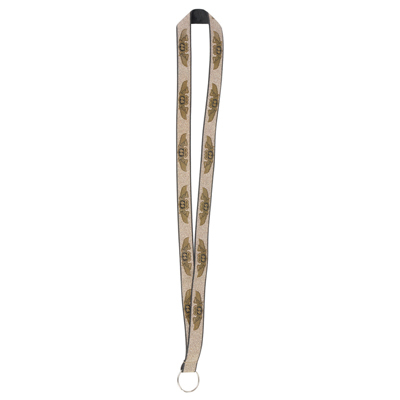 All sublimation lanyards start off white but sublimation allows for decoration that bleeds off the edges. 457mm Long. Nylon is a durable synthetic material with lots of shine. Slightly softer than polyester with a “silky sheen” type of finish. 457mm Long. Bamboo is a very durable yet soft and natural material. Bamboo fibre is also biodegradable making it an eco-friendly option. 457mm Long. 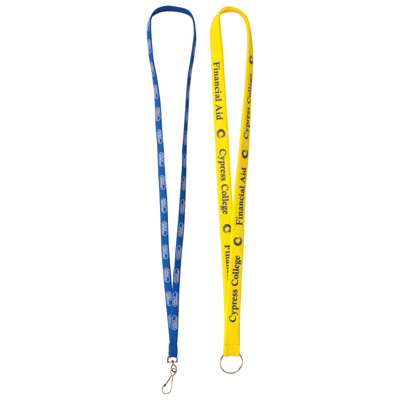 Dual attachment lanyards are made from standard polyester material, although slightly thinner, with one attachment on each end. 457mm Long. 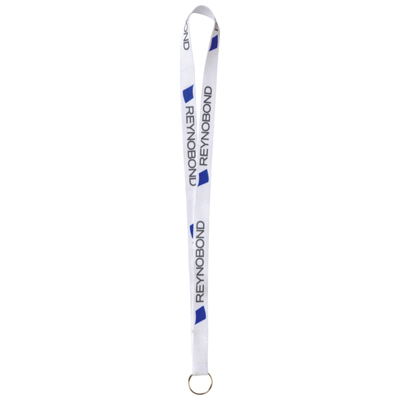 Shoe string lanyards are made from tubular polyester and are ironed flat. 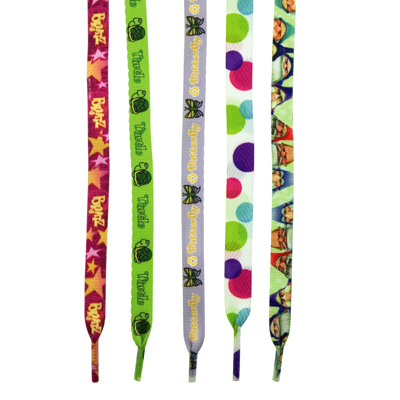 Same look and feel of polyester lanyards, but more dimensional and “thicker”. 457mm Long. 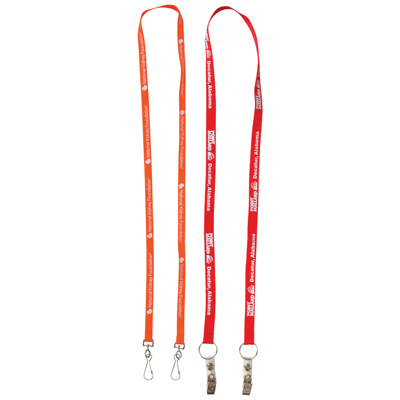 Recycled lanyards are made from recycled PET plastic (not including attachments and/or thread). 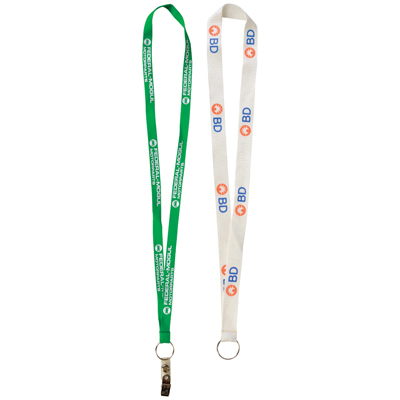 Same look and feel as traditional polyester lanyards. 457mm Long. The flexible silicone straps wrap around the corners of your smartphone to securely hold it in place. Accommodates phones of various sizes. 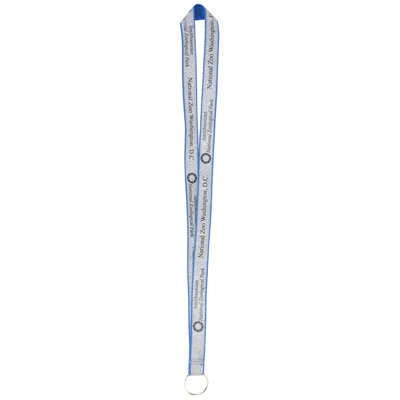 The strap also features a small metal clip to separate the long strap. 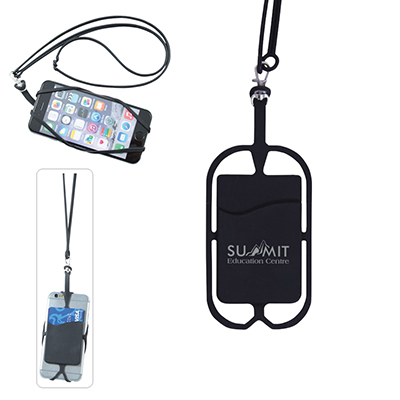 Convenient pocket holds cash or a few credit cards, ID’s, business cards, etc. A 10mm wide x 900mm long flat polyester shoe lace (sold in pairs). 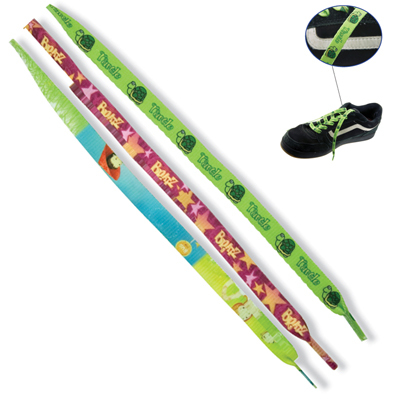 Price includes a four colour, 2 side step and repeat heat transfer. Must be the same logo on each side and the second side logo will have a random starting point. 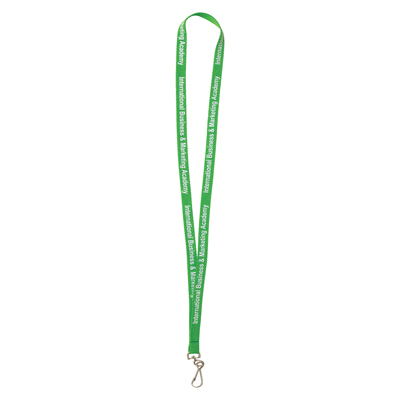 A 19mm wide x 457mm long flat polyester lanyard. Price includes a 4 colour process step and repeat heat transfer on 2 sides. For second side print the logo must be the same and will have a random starting point.